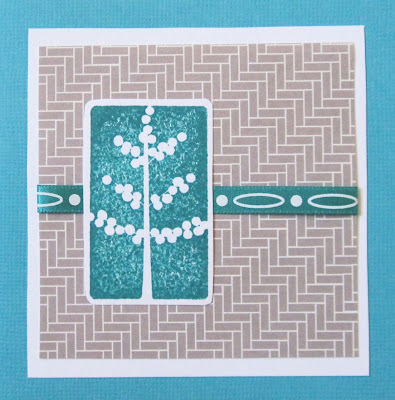 I love making cards, especially for friends and family. 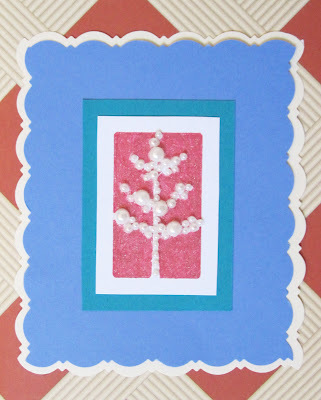 There is something very precious about a handmade card - somehow the message it carries seems more meaningful (.. well, at least to me). 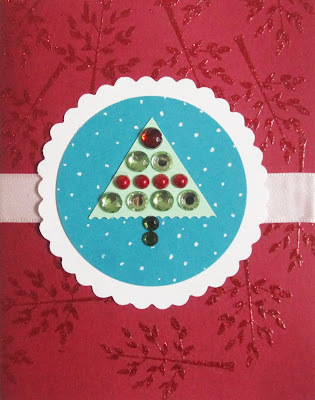 Anyways, these days I'm into making tree cards for the holidays. I think I got the inspiration from my 3 handmade trees (will post pics of them at some point here), one of which was our wedding tree with crystals. Last year it was all about ornaments dangling from snow-covered branches, and the year before that I was pushing snowflakes. ... more cards are on their way..